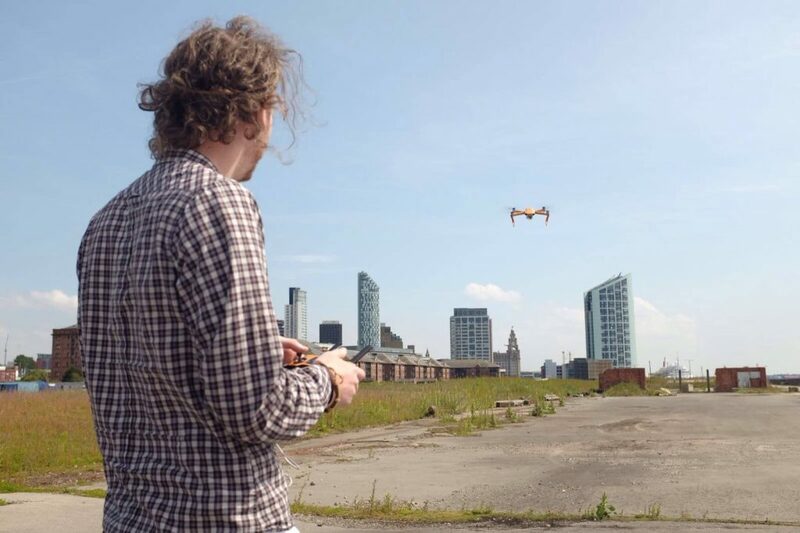 This week whilst filming down at Trafalgar Docks here in Liverpool, I had the chance to test fly one of DJI’s latest drone models from our good friends at SparkleVFX, the DJI Mavic Pro. Weighing in at only 743g and having fold away arms for easy portability, this little drone easily fits into a small bag and punches well above its weight in terms of mobility, control and video quality. 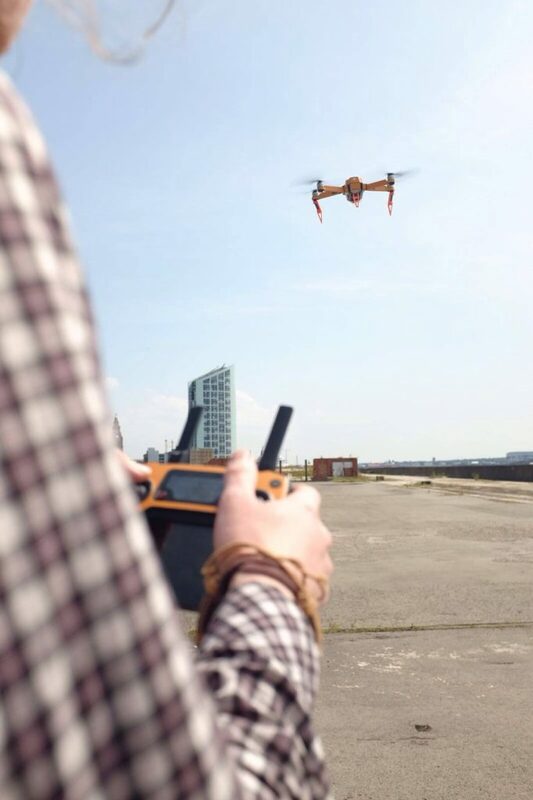 You can record 4K videos and take 12MP stills with the tiny 3-axis gimbal camera, all whilst flying for around 27 minutes per battery. For its size I was quite surprised how well it held its position in GPS mode, even down on the windy Mersey riverfront. I think the downward-facing control cameras aided the flight stability a great deal and I noticed whilst coming in for landing, that around 1m above the ground it stalled position until I fully descended the throttle stick. DJI have clearly improved upon their avoidance safety features since the Phantom 3 Standard which does require more pilot control on the landings. If you’re like me and enjoy racing drones, knock the controller into ‘sport’ mode and you can be whizzing around at up to 40mph. In this mode you can climb or descend faster, accelerate through precise manoeuvres or get in position for that all important shot quicker. Just beware that this mode eats battery life and the in-built obstacle collision sensors will be tested.